I now know I am just beginning the adventure for which I have been born. It fills me with enormous pride and honour. I know the latter quarter of my life will be all I have expected, and more. Life really has just begun. 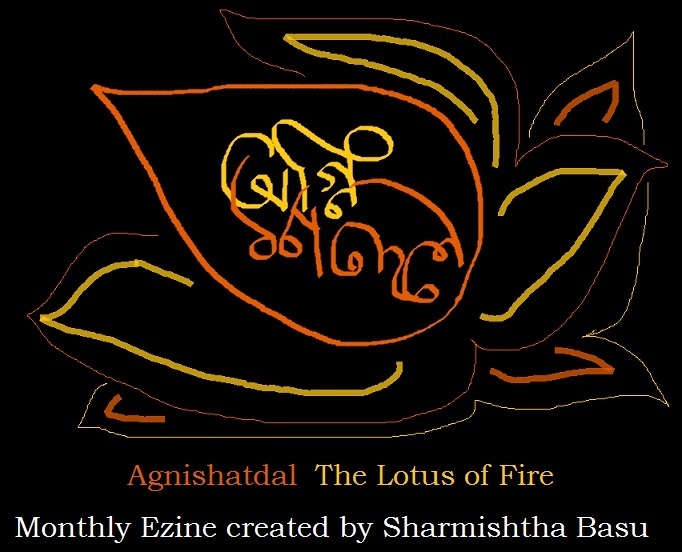 SB @ Indie Adda: What is the source of that light which reflects through all your works? Carolyn Page: The inner connection to my soul is reflected in my works. I have always felt a connection within; though, only recently have respected this as being the difference I have always felt. SB @ Indie Adda: What made you publish your book? Carolyn Page: As a prelude to the publishing of the book ‘Tomorrow’s End’ came the understanding, firstly, that a book was indeed to be written. This information came directly from that source within; my soul (or consciousness). However, for the purpose of better understanding, I should state that ‘Tomorrow’s End’ is a collaboration between The Collective Consciousness and myself; being in part, a conversation. The answer to this question then becomes: It was a natural progression, after writing/transcribing the book, to then have it become available to those whose purpose is to participate in its cause: The bringing of Love and Perfection to the Earth Fantasy. SB @ Indie Adda: Do you have a background in psychology or that depth in human nature comes to you as divine blessing? Carolyn Page: Our soul, or consciousness, has, as its base, all knowledge, all wisdom. As we release all that is false; i.e., that which we experience as a human; sadness, grief, arrogance, fear; indeed all that is negative, we connect more fully to that which we are: A soul (or consciousness) having an experience. SB @ Indie Adda: What is the name of your book, where can we get it? What are the addresses of your blogs? 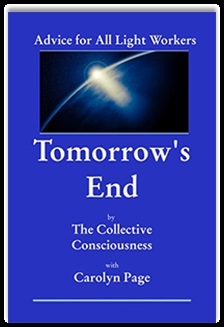 Carolyn Page: Tomorrow’s End (paperback) is available on Amazon.com. ABC of Spirit Talk.net – Here can mainly be found ‘Reflections’ of animals, flowers, trees and all creatures as have been requested. The essays each share a dimension of human nature. Light Workers of the World.net – This site is destined to become a meeting place for Light Workers. Here we shall join forces in the cause of uplifting ourselves and each other. SB @ Indie Adda: Planning a new one? Carolyn Page: Yes; we, The Collective Consciousness and I are in the process of writing ‘Changes’, which will be the second in our series. SB @ Indie Adda: Any suggestions to wannabe authors? Carolyn Page: I can only suggest that we follow our heart’s desire; be true to our own persuasions, and honour that which we know is true for us. When this is done, others know, and will honour us with their truth. It is a circle that, once begun, becomes a never ending joy for both the writer, and the reader. Tomorrow’s End, Dear Ones, welcomes you to find yourself. If you consider yourself to be a Light Worker; i.e., one who needs to be ever growing, ever developing; you have come home. Yes, Dear One, you are home; where you ought to be. Browsing our pages you will find yourself, Dear Heart; for, our goal is to introduce you to you in ways that will enhance, not only your life, dearest; but, the lives of all within the playground called, Earth.